Today’s Quilter is a great magazine with a fresh take on traditional quilting, with 100 glorious pages of projects, features, techniques and news for intermediate to experienced quilters. The quilt projects are exquisitely photographed, while technical features improve skills. There is quilting news, events to visit, designer profiles and quilt heritage, plus chat and fun from the quilting community! 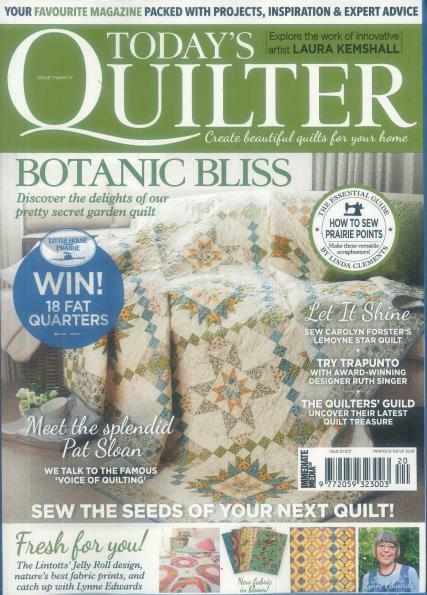 Every issue includes a free collectible supplement that goes into even more depth about a specially chosen subject close to quilters’ hearts!